I hope that everyone had an enjoyable festive season spent with family, friends, and of course…. books. Friday, Februrary 9th, 2018. They sent me a NetGalley widget for the book. I was invited to participate in a blog tour on February 2nd, 2018 by Macmillan/Henry Holt and Company. They sent me a NetGalley widget for the book. I read and really enjoyed the first book in this series in December. Upon finishing “The shivering turn” I immediately downloaded “Dry bones“, its sequel. Luckily I have been pre-approved by Severn House, so I didn’t have to wait for approval. No explanation needed. It’s Clare Mackintosh! So SIX more review commitments in December. I bought a book on the recommendation of Cleo Bannister. 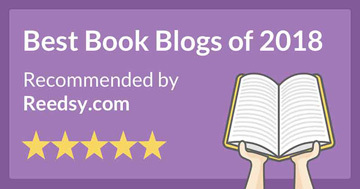 It was one of her favorite reads of 2017 and she thinks that it deserves a wider audience. At only $5.06 Cdn. for the Kindle copy, I was excited to purchase a copy from Amazon.ca It is a British police procedural mystery written by a former policeman! I stumbled across these three interesting blog posts, and thought they were share-worthy. After reading this post by Eva of NovelDeelights, and this post by Danielle of BooksVertigoAndTea, I immediately visited Amazon.ca to find myself a copy of “Tall Chimneys“. To my utter delight it was FREE! At least it was when I bought it on December 14th. Blurb: Considered a troublesome burden, Evelyn Talbot is banished by her family to their remote country house. Tall Chimneys is hidden in a damp and gloomy hollow. It is outmoded and inconvenient but Evelyn is determined to save it from the fate of so many stately homes at the time – abandonment or demolition. Occasional echoes of tumult in the wider world reach their sequestered backwater – the strident cries of political extremists, a furore of royal scandal, rumblings of the European war machine. But their isolated spot seems largely untouched. At times life is hard – little more than survival. At times it feels enchanted, almost outside of time itself. The woman and the house shore each other up – until love comes calling, threatening to pull them asunder. I completed my Goodreads Challenge and plan to have the same challenge next year. 2017 was a very successful year for my blog. I posted 255 times during 2017 and wonder if that was too much, or too little…. Thoughts? 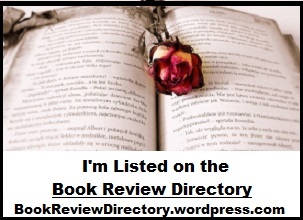 Thanks to all my fellow book bloggers who have been SO very supportive, and who share my posts via Twitter, etc. Fictionophile now has 2,200 followers. Thanks all! 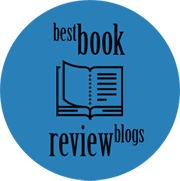 This entry was posted in Fictionophile report and tagged Fictionophile updates, This blog. Bookmark the permalink. I only read 20 books in 2017. I’m hoping to double that in 2018, but I think any more would be too ambitious. But I’ve decided in the New Year that I need to spend 1 hour or less on each book review from writing to posting to scheduling. Then I might be able to keep up better with all the reviews I want to do. I’m on a roll, I did two this morning and kept to the schedule! Ah, you got the new MacKintosh – serious blogger envy. And Sweet Little Lies is so good. Nice haul! Thanks Janel. I find I’m envious of the UK bloggers the most. In particular I would have loved to have gotten a copy of “House of Spines” and “House of birds”. Both of these weren’t offered to Canadian bloggers. Happy New Year Lynne! You have some interesting books up to read. I will be watching for your reviews. Enjoy yourself reading, that is what matters most. Happy New Year Carla! Your continued support of my blog is VERY much appreciated. 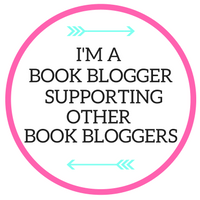 You’ve done amazingly well and need not worry about your TBR as you are in demand. You deliver an excellent product. I upped my challenge by just a skosh–and it will be a stretch for me. Here’s to your 2018 and I’m looking forward to reading more–don’t change a thing. Thanks for your kind words. Happy New Year! Happy New Year my dear friend! It looks like 2018 is off to a great start for you 😉 I really hope you enjoy Tall Chimneys and cannot thank you enough for sharing the link ❤ Absolutely love the cover for Home! Thanks Danielle. Though I swore I would not do any more blog tours, I find myself doing two in February! “Home” is one of them. I just couldn’t resist it. Girl Unknown looks pretty interesting and I really enjoyed those posts you shared. It’s scary that we have to now consciously think about and try to be present in our own lives rather than consume the lives of others through our phones. Happy New Year! I look forward to many more interesting posts from you! Thank-you very much Kris. Glad you enjoyed the posts, and hope to communicate with you again over the course of 2018. Thanks so much Myndi. I was worried that people were getting tired of seeing posts from me showing up in their feeds. It is hard to know just how many is ENOUGH. Happy New Year! And a 2018 full of great reads! Looking forward to Let Me Lie and New Neighbors! You and me both Holly. They sound like stellar reads. Thanks for your continued support. Congratulations on completing your GR 2017. I think 200+ is just right for someone with 2,200 followers. Thanks so much. I was worried that people were getting tired of seeing posts from me showing up in their feeds. It is hard to know just how many per year is ENOUGH. Happy New Year and I do hope you enjoy The Last Thread. So keen to read the latest Clare Macintosh so hoping a copy will wing its way to me too! I think you are overestimating my blogging prowess 😉 I didn’t read that one but it is on my wishlist! Same to you! Thanks SO much for your continued support of my blog.